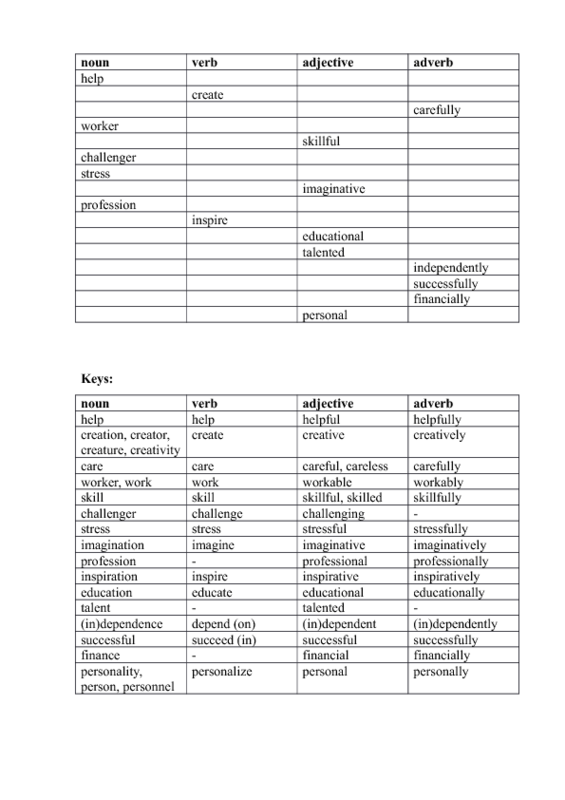 This is an individual card to help ESL students master their word building skills. 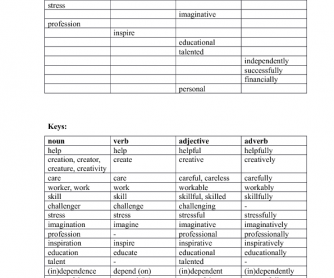 Each column has students write a given word in the proper form for a particular part of speech. It can be used as homework, for individual study, or as a short 5-minute test.